At its most stripped down, the Tennessee Titans’ 25-16 loss to the Minnesota Vikings on Sunday came down to three plays. Three awful, catastrophic, and horrifying plays. If you were to remove those three plays, the Titans win the game. I am convinced of that. Of course, many things could have appeared in the vacuum created by the absence of those three plays, but we are not omniscient and do not know what might have been. We can only hypothesize and formulate conclusions based on the data and knowledge we possess. Here is what we know: Up until the first of those three plays, the Titans were in control of the game. At that point in the game, 1:38 left in the 3rd quarter, the Titans were leading the Vikings, 10-6. The Titans had successfully contained the best running back of the past 10 years, Adrian Peterson, holding him to 31 yards on 19 attempts. They had not allowed a touchdown. Three of the Vikings six points came on a field goal to start the 2nd half when the Vikings returned the kickoff into kicking range. On the other side of the ball, the Titans had effectively moved the ball up and down the field for most of the game. The running backs were making plays, Marcus Mariota was reading the field well and making good throws, and the receivers were actually catching the ball. 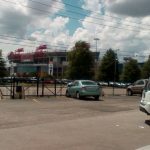 The Titans’ offense was not great, and they were not putting touchdowns on the board, but their offense was the better of the two teams on this day. At 1:38 left in the 3rd quarter, the Titans were in the process of driving 47 yards down the field, getting in field goal range, and attempting to build their lead. The first of the three plays – the ever-present rule of three – happened. Marcus Mariota rolled out, saw pressure he was not expecting, and threw the ball to Vikings’ defender Eric Kendricks, who returned it 77 yards for a touchdown. It was a momentum killing, crowd deflating, game changing play. But it was only the beginning of the woes awaiting Titans’ nation. The rule of three was just getting started. Two possessions later, on the very first play of the drive, Demarco Murray and Marcus Mariota botched the read-option exchange and fumbled the ball, which was quickly picked up by the defense and returned for another touchdown. The unthinkable was happening; the Titans were giving away the game. Talent-wise, they were equal to the task. Unfortunately, games are not won on talent alone. Execution and taking advantage of mistakes play a huge role as well. On this day, the Vikings executed and took advantage. The Titans did not. And still, the rule of three was not finished with the Titans. On their very next possession, Murray fumbled the ball on a second down play near midfield. When all was said and done, the Titans’ defense allowed 12 points – all field goals. The Titans’ offense generated 29 points, only, 13 of those points were for the Vikings. In a league where most teams are evenly matched, one or two plays can be the deciding factor for good or ill. On Sunday, three plays told the story. The rule of three had played its hand and exerted its dominion over the game. ← Titans Tuesday: Win All the Games! It was a very frustrating game for Titans’ fans, that’s for sure. There is something to be said for “learning how to win”. Hopefully the Titans can come around to that quickly or it will be another long season. The good news is that at least Jeff Fisher isn’t coaching. How can a team be as bad as the Rams were Monday night?! That is a topic I would like to see you take a crack at: how in the world does Jeff Fisher get paid millions to coach an NFL team? The guy on the field Harlan radio call featured a lengthy look at Fisher on the sidelines as the cameras tried to avoid the runner. The longer I had to look at Jeff the more I asked that same question. Harlan was so bored he nearly lost it over a non player on the field.